With social networking taking storm from our society’s ever-advancing technology, connecting with future employers just got a whole lot easier! Rather than blindly mailing or faxing in your resume to a company with little chance of getting a response back, you can interact during your job search process with employers via Twitter in a more efficient and personal setting. 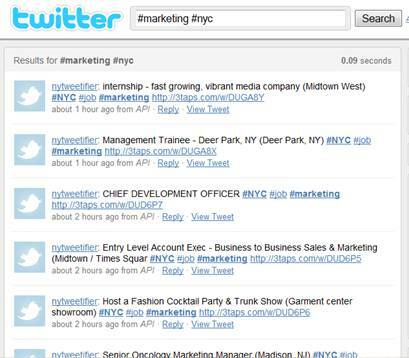 Never thought of using Twitter as a job search tool? Well, close those career search site tabs and let’s begin! All you have to do is follow these five steps on Twitter, and bring your motivation to interact! Search and follow people within the industry you are targeting for a career. Read through profiles to see if their content is useful to make a connection. Look for people in your field who have established themselves as leaders, and can help guide you by subscribing to their blog. For those people who have their mind set on one job or those who are up for anything in their interest, there are two different approaches to job searching on Twitter. Take the initiative to interact with these leaders and others interested in your field of choice. Following specific people in your related career field can narrow down your chances of networking for a job in the right area. And, you might be able to discover some great advice or news you never thought you would. Network smartly by showing your enthusiasm and passion for the interests within your field. Make comments on blog posts and articles that spark opinions which will further enhance communication relating to the topic. This could always lead into a more personal way of communicating, such as direct messaging. Would You Like Some Hash Browns with Those #Hashtags? You can see there’s such a wide variety of jobs listed. Hashtags are great if you’re an open-minded job shopper! If you’re set on your dream job, it might be more useful to engage with the specific business leaders in your field. Attach your LinkedIn profile page as your Twitter website link. Anyone within the industry you start connecting with can easily see where you’ve been, and where you want to go with your talents. This can produce a better opportunity for you if you have references on LinkedIn, and it can help you get on a faster path towards your future career! Be Proactive. Be Rememberable. Be Yourself. CONGRADULATIONS! You’ve just completed the five steps! How do you feel? You’re now in charge of making your job search less stressful by being visible, and adding in some food for thought in showing what you have to offer a company. 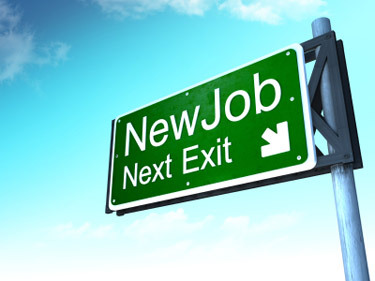 The current economy is being flooded with candidates all searching for the same thing…that one perfect job! When connecting with professionals within your career field, use Twitter as a means to produce a bond that will make you break through the clutter. This post was written by Stephen Moyer and Julie Skowronek from Whiting Consulting.